And here he is playing two-timing husband Adrian in The Legal Wife. 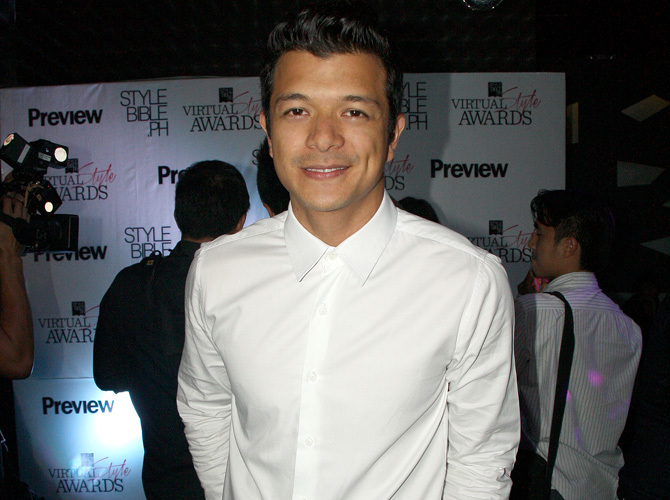 Jericho Rosales, who plays two-timing husband Adrian in The Legal Wife, admitted that he has cheated and has been cheated on for real before. "Marami akong gustong i-share, but since sobrang public ng buhay ko, baka ma-offend yung mga taong involved dati. 'Yun lang," he said. "Nag-cheat ako, ako rin niloko. So pwede na akong maka-relate kay Monica at kay Nicole," the actor admitted—obviously talking about Angel Locsin, who plays his wife Monica in the series, and Maja Salvador, who plays Nicole, his kabit and Monica's best friend (Ouch!). The show became the #1 trending topic on Twitter worldwide on April 23, after the big reveal that Adrian was cheating on his wife with her best friend. "Noong teenager ako, parang na-excite kasi ako sa idea. Pwede pala ito? Okay, let's just say nabuking [na] ako. Parang nangyari sa akin 'yun," he explained. While Jericho refused to elaborate on the details, we're pretty sure he's a changed man. After all, he is getting married to the love of his life, fashion blogger and host Kim Jones next month!